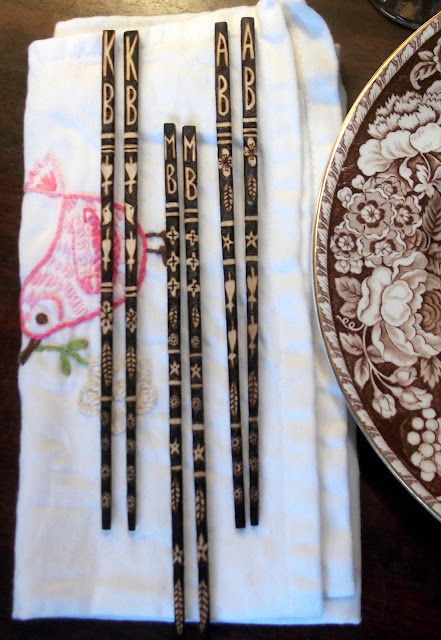 this year I made Christmas chopsticks for the kids. Pictured atop a lovely napkin hand embroidered by Stitchado, of Etsy. Pictured beside a gorgeous vintage plate from EnglishTransferware, of Etsy.